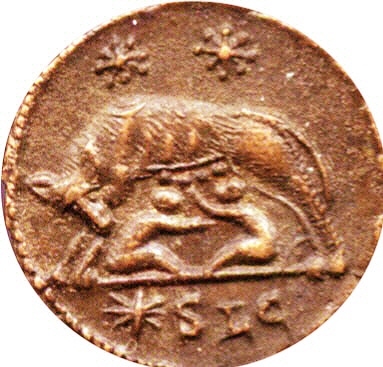 2)This coin also depicts the Shewolf and twins and was minted in the Constantinian era (circa 330 AD). What year was the " traditional legendary" date for the founding of Rome? ( give a number) b) Was this BC or AD?